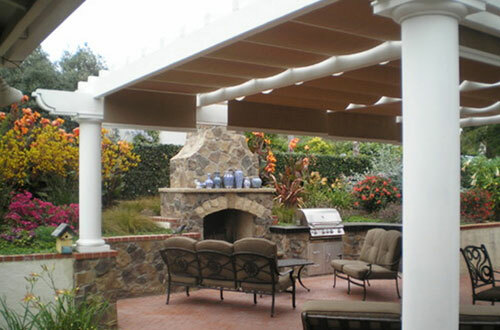 Daniels Landscape is a licensed and insured landscape company with over 30 years of experience improving outdoor living spaces of homes throughout Poway, Encinitas, Rancho Bernardo, Rancho Santa Fe, Escondido, San Marcos, Vista, and surrounding cities throughout San Diego County. We excel at taking individual hard-scape and soft-scape components and bringing them together to create stunning landscape designs that transform and elevate the look and feel of properties. Our gorgeous landscapes have been recognized by the California Landscape Contractors Association San Diego Chapter and won us several Beautification Awards. Transform Your Property With an Expertly Designed Landscape From Daniels Landscape Inc.
Our owner, Daniel Olson, has decades of experience in the landscape construction industry. He calmly and confidently engages with our clients and enjoys assisting them through the process he has named "The Groaning of Creation". Ultimately his goal is to achieve and exceed all expectations. He has directed, designed, managed, and built 100's of residential landscapes on properties of all sizes within our San Diego Communities. Highly Experienced. Licensed & Insured. Competitive Rates. Excellent Reputation. At Daniels Landscape, we strive to exceed each customer's expectations by delivering superior workmanship, exceptional service, and competitive pricing for landscaping projects throughout San Diego County. We stand behind the quality of our work with a one-year warranty. Call us today to schedule your free consultation for landscape design and construction in Rancho Santa Fe, Escondido, Poway, Encinitas, Rancho Bernardo, San Marcos, Vista, or other nearby city. We are available Monday through Friday from 8:00am to 5:00pm. 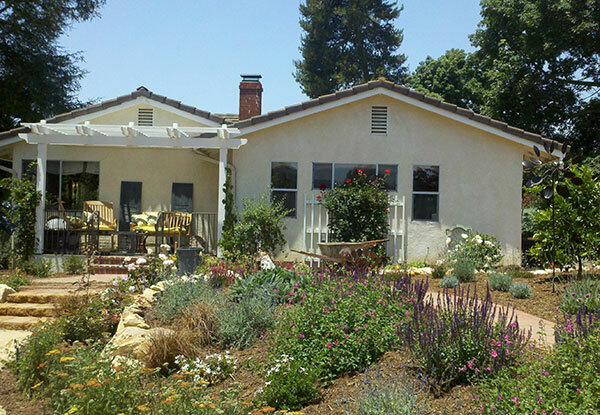 We designed this healing garden in Vista, CA for a client who wanted a peaceful place to enjoy her yard. 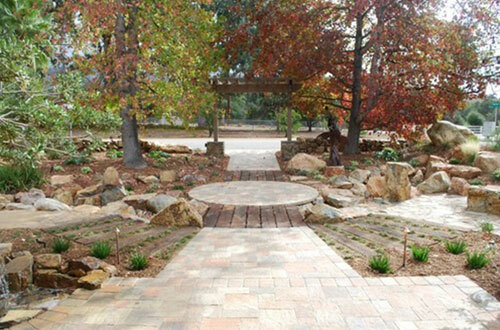 We enhanced the landscape with a patio covering trellis, decomposed granite pathways, and natural boulders.